What's it like practicing medicine in New Zealand? Hear from three doctors about their New Zealand adventures. Planning a locum tenens assignment in New Zealand takes time. But it’s worth it. Consider the scenery alone, c'mon! But that's not the only great thing about practicing medicine in the Land of the Long White Cloud, no. Practicing in this island country affords you a world of experience. You'll be able to see how doctors here deliver care, how their unique culture has shaped their healthcare system and best of all you'll be able to focus purely on patient care with little to no paperwork or administrative duties involved. Fortunately, too, your physician placement specialist will carry most of the weight throughout your placement process – with the end result being the best match possible between you and the medical facility in need. In other words they'll help you every step of the way in obtaining the New Zealand assignment you desire. Now there is some effort on both parties involved to gather all the necessary licensing and registration but if you've got the drive and the credentials then there's nothing stopping you from setting foot on this magical island. Keep in mind the whole process will take about three months once a job has been offered. But as long as you are U.S. board certified, or the equivalent in a comparable country and hold an active license, you are eligible for temporary registration. Don't just listen to us go on about all the fine details. Hear from some doctors – with a variety of backgrounds – who have worked in New Zealand already. Their stories, rich in detail, will hopefully enlighten you. You'll discover not only what it's like to live in a stunning country but also what it's like to be on locum tenens assignment here. What's it like practicing medicine in New Zealand, you ask? Our doctors will tell you. When you're in another country you take notice of the uniqueness that surrounds you—the noises, the sights, the smells are all brand new. For Mark Dell'Aglio, M.D. and his wife Trinj, a locum tenens assignment in New Zealand meant an opportunity to turn the unfamiliar into an adventure. “It's interesting to watch us learning outside of ourselves...learning the Kiwi way of life,” says Dr. Dell'Aglio. When you visit a foreign country – even if they share your native language – you find yourself learning colloquialisms, customs, and cultural caveats that aren't familiar. Everything from setting up a new home to making new friends is an entirely different experience in a foreign country. But it’s a welcome experience. "At first glance their system seems different...but ultimately, the outcomes are similar at about 1/3 the cost of the U.S. system," says Dr. Ross. And the Kiwi way of doing things in the hospital wasn't hard for Dr. Ross, either – he immediately felt a sense of camaraderie with the other General Practitioners; in fact, he says he developed great relationships with all the staff. On days off Dr. Ross – and his wife, Stephanie – took to the road, everywhere from Cape Reinga at the top of the North Island to Bluff at the tip of the South Island and everywhere between. The road trips, Dr. Ross explains, were alive with “rolling green hills, winding roads and stretches of shape shifting shores.” On a drive to Wellington – for a Rugby World Cup match between the U.S. and Australia – they stopped overnight in Taupo, a town in the center of the North Island, and awoke the next morning to the crystal-clear waters of the town’s eponymous lake “it was so clear I could hardly believe it!” Stephanie recalls. Well, that’s about it. 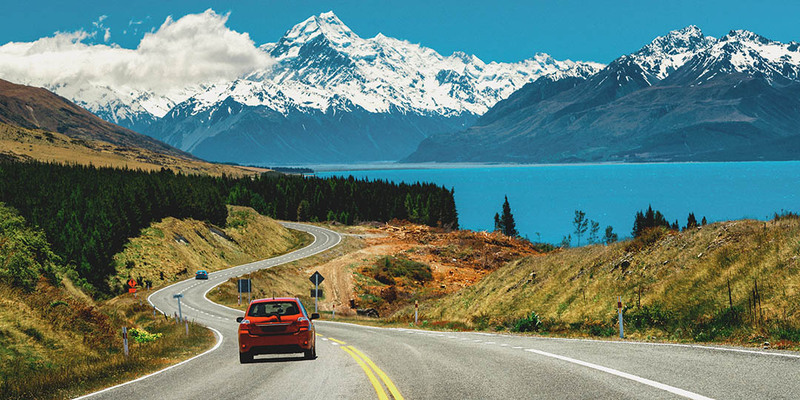 Any additional questions you may have can be answered in this white paper appropriately called “Everything You Ever Wanted to Know About Taking a Locum Tenens Assignment in New Zealand.” And if you've still got questions after reading that then go ahead and finish reading these doctors’ stories. Still have questions after that? You know what to do: fill out this quick information request form and we’ll be in touch. Practicing medicine in New Zealand isn't just a faraway dream; it's a reality that can happen for you. Feel free to view our current international locum tenens opportunities with the click of a button below.